Remember the first time you put pen to paper or the first Valentine’s card you received? It sticks long in the memory! Well, Manuscript Pen Company are making creatives of all ages fall in love with writing again, thanks to a selection of new products designed to brighten up February 14th for couples – and potential partners everywhere. 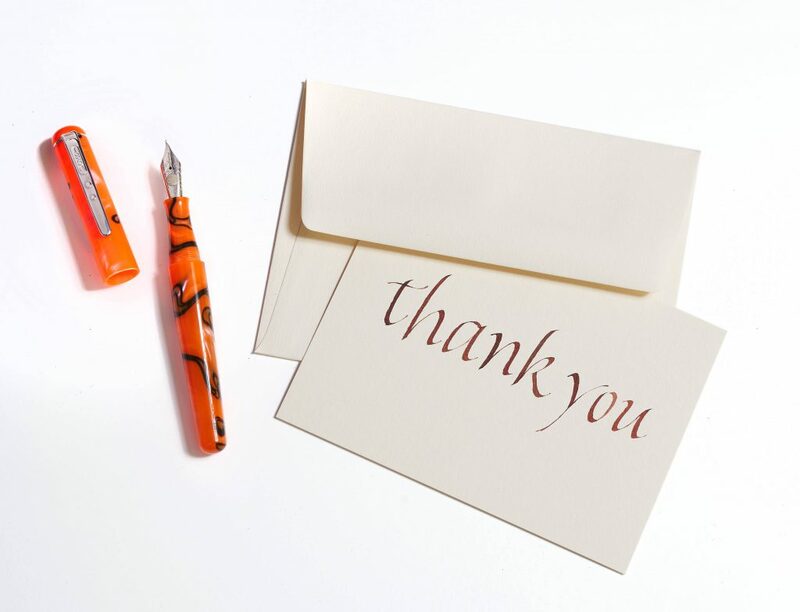 With a colourful array of artistic tools fo calligraphy, handlettering and much more, the British stationery experts are putting the old ‘Roses are red, Violets are blue’ poem to shame! If you’re looking for something different away from the traditional – and customary – chocolates and flowers, why not go for the award winning ML1856 fountain pen? The pen – which is made from a vibrant Italian resin making every pen unique – is as eye-catching as it is beautiful, thanks in no part to the highly chromed detailed nib that adorn each pen. Prices start at £75 and pens can be ordered online at calligraphy.co.uk. Making a mark on more than just hearts, Manuscript’s selection of wax sealing sets are perfect for creating a stir when sending letters or creating artwork. Bold wax sticks are partnered with a selection of intricately designed coins; love letters, secret notes and much more can have an added touch of class and a hint of vintage, inspiredby the greatest romantic movies. Sealing coins are available for £3.99 and full sets are available from £10.99. Manuscript Pen Company also have a selection of gift sets available – either for partners who are difficult to buy for or for the more discerning partner – to help get your loved one started on their creative journey. From the popular Callicreative Hand Lettering Set to our Beginner’s Calligraphy Set, there’s a creative set for everyone to trial and test.